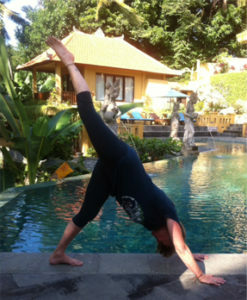 Yoga can be used as a tool of self-discovery by observing our breath, actions and reactions and realising our nature. Through the different practices we can develop qualities that will help us in all levels of our life. As we begin to practice yoga we start to feel better and wish to discover more. Gentle postures are taught at first enabling the student to become used to the instructions and also physically building up strength. Postures work by shifting energy and purifying the body. Others improve the function of the internal organs including digestion, liver and kidneys. As physical strength is built up so is mental strengt. Various breathing practices are introduced to improve oxygen uptake. They also work on the life force and help to remove blockages and shift energy. Tranquility can also be induced. Every cell in the body and brain is affected by breathing practices. This form of deep relaxation promotes physical and mental stillness. Its like a sleep of the deepest level, reducing tension and allowing problems to be set aside. The student becomes more balanced psychologically. We will observe the stillness or the mind and not be attached to any thoughts that arise. Increases overall quality of life. Helps slow the ageing process. Helps you cope better and be less effected by stress. Reduces the risk of memory loss, back pain, knee pain, anxiety, obesity, stroke, type 11 diabetes, depression, heart disease, upper respiratory infection.